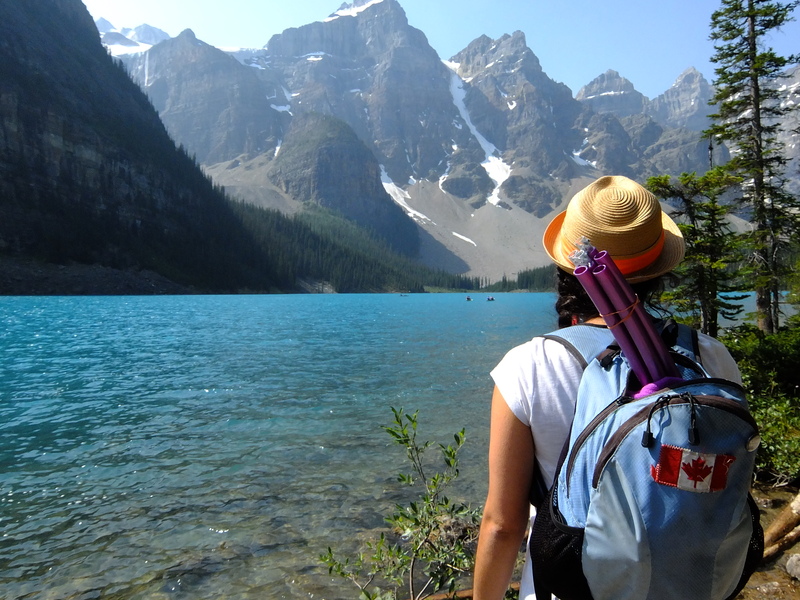 Hula hooping and road tripping across Canada the Magnificent & America the Beautiful. Holy guacamole – I had a such a WICKED time on my road trip this summer driving from Toronto to Vancouver and back again! Rather than publishing multiple blog posts about the adventure, I decided to do something a little bit different this trip. Over the last 6 weeks I have been hula hooping across North America and I filmed short clips in many of the locations I visited with the help of my trusty camera ladies – my mom Christine (who drove with me on the outbound journey) and my friend Emily (who drove with me on the homebound portion). I have edited it all together into a quick 3.5 minute montage to give you a snapshot of where I went and what I saw on my trip. The beautiful land and cityscapes in this video only show a small portion of the incredible places we went to, but I think it is much more pleasant than me forcing you to watch a slide show of the 1000+ photos I took with individual commentary for each photo…right? (like this post if you have ever been a victim to this crime). My handy segmented hoop that breaks into 6 sessions, fit conveniently in my backpack and accompanied me on many outings and hikes. Not only was it a catalyst for many conversations with strangers who asked why the heck I had a hula hoop with me, but an avid birder I met in Chaplin, Saskatchewan recognized me a few days later in Banff, Alberta because of the purple tubey thing sticking out of my my pack! It was also a great way to get out the jitters and move around after some rather long drives. Any whooo, without further ado, here is the video! If you feel so inclined, scroll down below the video to read the about my trip highlights. Hanging out and eating sushi in Vancouver. The best part of my trip was definitely hanging out with my bro, parents and BFFs Kathleen, Emily and Sharon in Van city. I ate sushi every day I was there, except for one night when I ate at the best Thai restaurant I have ever been to (Sweet Basil in North Vancouver). I have been craving Vancouver sushi ever since, sigh. In addition to excessive amounts or raw fish, there was also lots of ukelele jamming on beaches, cooking, and so many laughs my abs were always in pain. It was also pretty special to picnic with both my parents and brother in Deep cove, particularly because it has been more than 10 years since we have been on a family vacation! Yellowstone National Park, Wyoming. Yellowstone has always been on my bucket list based on the numerous recommendations I have heard from others, but I actually had no clue what to expect when I got there, NONE. I really didn’t do any research on the assumption that the visitor centre would tell us what we needed to know. I think my lack of knowledge just increased the mind blowing-ness of this incredible place. Yellowstone is a geothermal wonderland with steam rising from cracks in the earth’s crust every where you look. We saw boiling mud pots, hot springs of wild colours that create natural abstract art pieces from a birds eye view, geysers constantly erupting (some expected, some surprises), waterfalls and so much more. It was a different world. Emily and I had many discussions about what it must have been like to be the first person to discover this sacred magical and confusing place. 1) Mom and I woke up rather chilly in a tent…brrr. 2) I told mom to put on her best clothes for a surprise, so we both dug our dresses out from the bottom of our backpacks. 4) In the Chateau’s parking garage, we changed out of our dresses and into our hiking boots . 5) We climbed a mountain to the Lake Agnes Teahouse, where the views are breathtaking and the tea is made from the mountain lake water. It was a pretty spectacular day. 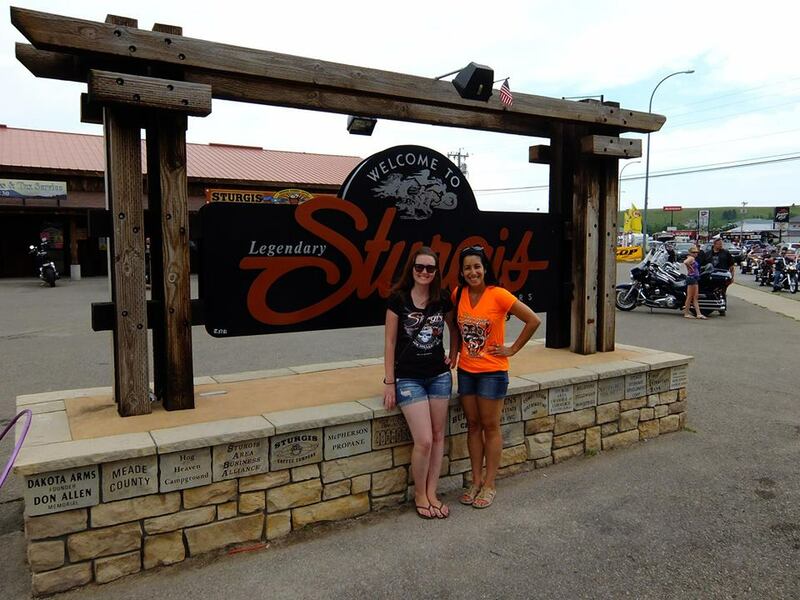 The 75th Sturgis Motorcycle Rally that we just happened upon. Emily and I began to notice and increase in the number of motorcycles as we drove through Yellowstone. We met a family while waiting for one geyser to erupt, and they told us that we would be driving through South Dakota, just in time for one of the largest motorcycle rallys in the world – sweet. The highways, national parks and monuments were buzzing with motorcycles over the next few days. We stopped for lunch in Sturgis and were overwhelmed and exhilarated by thousands of engines rumbling at the same time. It is estimated that 1 million motorcyclists attend this year – wowza! Manitoulin Island, ON – Lake Superior Provincial Park, ON – Thunder Bay, ON – Kenora, ON – Brandon, MB – Moose Jaw, SK – Chaplin, AB – Banff, AB – Jasper, AB – Lake Louise, AB – Kelowna, BC – Vancouver, BC – Cultus Lake Provincial Park, BC – Tofino, BC – Seattle, WA – Olympic National Park, WA – Coeur D’Alene National Park, ID – Glacier National Park, MT – Yellowstone National Park, WY – Devils Tower National Monument, SD – Mount Rushmore, SD – Badlands National Park, SD – Minneapolis, MN -Chicago, IL AND LOTS IN BETWEEN! Thanks Wanda! It was a very special trip indeed!